Israeli Prime Minister Benjamin Netanyahu injured his leg during a soccer match with Jewish and Arab youth. 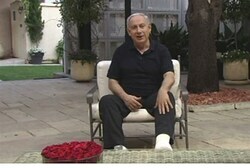 Netanyahu pulled a tendon in his leg during the Monday afternoon game in Jerusalem, Walla! News reported. The prime minister slipped on the grass, rose and continued to play and scored a goal, according to Walla! Netanyahu’s personal physician, Dr. Tzvi Berkowitz, examined the prime minister and diagnosed the pulled tendon, according to the news website. 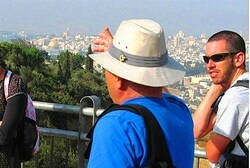 The injury caused the postponement of a Likud Party meeting. The prime minister scored a goal, but pulled a tendon in the process – fouling out a Likud Knesset faction meeting as a result. Prime Minister Binyamin Netanyahu is as agile as ever on the political field, but not quite as light on his feet on the soccer field. Taking part Monday afternoon in a Jewish-Arab children’s soccer game, the prime minister missed a swing at the ball after about five minutes of game time. Down he went, straining a tendon in the process. Likud Knesset members canceled their regularly scheduled faction meeting in deference to the injury. “Today I was playing soccer to promote tourism and to show off the youth and the truly beautiful side of Israel — but I tore a ligament during the game,” Netanyahu explained with a slightly sheepish glance at his foot in a video clip sent a few hours later to media outlets. Prime Minister Benjamin Netanyahu this afternoon in Jerusalem, participated in a soccer game between Jewish and Arab youth, in the framework of an international project to promote tourism to Israel. During the game, the Prime Minister slipped on the field, rose, continued to play and scored a goal. During a subsequent examination, expert orthopedist Dr. Leon Kaplan diagnosed a suspected tear in one of the Prime Minister’s tendons. A CT scan at Hadassah-Mt. Scopus Hospital confirmed the diagnosis. The Prime Minister’s left leg was placed in a cast for several weeks. Prime Minister Netanyahu returned home and will be back at work at his office tomorrow.